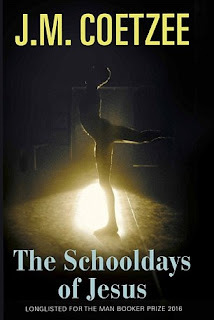 Elizabeth Lowry's skilled review tells you all you need to know about JM Coetzee's The Schooldays of Jesus, more or less. It recognises that the "mysterious Spanish-speaking country, this place of refugee souls" in which the two protagonists make their new lives "stands for our embodied earthly life", and that their new home city Novilla is also "the genre in which the characters find themselves, the novel itself". 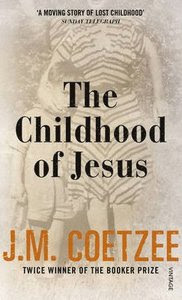 It's why the novel is not very enjoyable, she says; a flimsy metafictional construct allowing Coetzee to indulge in Platonic dialogues as unappealing as the bread and bean paste eaten by Novilla's inhabitants. On the evidence of this austere, barely realised mise-en-scène, it is difficult not to feel that Coetzee, like Plato, is no longer much interested in the accidents of our quotidian human world, the shadows on the cave wall. He is after essence alone, the pure, ungraspable fire. Having now read both this novel and The Childhood of Jesus, I share Lowry's judgment, though not as a criticism. While not being a major enthusiast for his work, I have often defended Coetzee from the reviewing consensus on his post-Disgrace novels (which, it should be emphasised, is essentially a British consensus). Except those novels are still clearly of this world, engaging with the meat industry, autobiography and relationship triangles, so the criticism seemed churlish. In both of these novels, however, defence is not so easy, as one proceeds as if over a desert gradually populating with generic CGI figures and buildings, familiar in many ways and yet obviously a construct; a science fiction landscape denuded of that genre's imaginative twists and flourishes. And because the story is thereby infected by an air of arbitrary invention, the drama becomes not one of action and consequence but overall meaning or purpose. Even if we enjoy the story on face value, which I did, the shadow of allusion projected by the titles remains, leaving one in the semi-dark. We are used to fiction being justified despite its indulgences because it can tell us what life is like "in the era of Trump" but, when the title of a novel about imaginary refugees in an imaginary dry land alludes to the founding figure of the civilisation of the book, it can only generate anxiety about clues to a hidden message. So the crossword puzzler goes to town. There's Jesus in the titles, of course, and there's an ethereal woman whose surname is Magdalena; there's a character called Dmitri straight out of Dostoevsky and there's Davíd reading Don Quixote, so some vowels and consonants are already in place. However, as Jack Miles points out, there is also in Simón and Davíd's undocumented previous lives the allusion to the Myth of Er referred to in Plato's Republic in which after death "souls are reincarnated only after crossing Lethe, the River of Oblivion", so the allusions might be only the distant splashing of that river; alluding to a tradition, yes, but also the void over which that tradition stands. After all, they too are only books. Don Quixote, for instance, is known as a satire of idealism that plays on the reader's forgetfulness that the novel is the very work and presence of the ideal. In order to laugh knowingly at the knight-errant's delusions, we must delude ourselves in the same way, which is why John Barth claims it is not only the first novel but the first postmodern novel, itself evidence that the history of the novel should be regarded vertically rather than horizontally. Such is the lure of the written word, and it prompts the question: do we turn to novels because of an urge to descend into these holes, to access the other side of the river; that is, unable as we are to accept the world as it is, to seek a land without metaphor? If so, realism is the inverted gospel of this ideal, and the post-Disgrace reviewing consensus its choir, represented in the novels by Simón's determined acceptance of the world as it is. The Jesus novels test its patience in particular not because they are too reliant on fantasy or conceptual indulgences, but because they are too realistic, if realism means including questions about its own existence and value. They present the world in a realism as pure as a dream. Everything in a dream is present for a reason, only that reason is unclear, cloaked in the darkness of sleep, and we become aware of the darkness only when we awake. The child Davíd is thereby the awoken insurgent in such a land, as Jesus was in his, and writing in ours.